RM WebDesign have been building beautiful websites for over 17 years, for businesses large and small. We have experience in crafting our sites using the industry best; we have worked with Macromedia Dreamweaver, Frontpage, Adobe Flash and our flagship, fully database driven, CMS based websites using the latest Joomla version 3. We can bring your online presence up to date with our latest, fully responsive, mobile ready websites. Working with the very best of design specialists, we can get your new website up and running in no time at all, with a look and feel that perfectly compliments your business. Our average project span is less than one month from concept to delivery. ...and we don't stop there! After your site has been published we work with the major search engines, Google, Yahoo, and Bing; to make sure your site is indexed as soon as possible. We will train your administrators, and issue instructions on how to keep your site up-dated. Our Joomla CMS packages are so easy to manage, with no technical knowledge required. All of our subscription packages include Search Engine Optimisation (SEO), once your site is live we monitor your visitor activity and apply industry best practice, and SEO ethical methods, to ensure your site is promoted as high as possible within search engine results. Utilising Google Analytics, we can also give you total visibility of the visitors of your site. Reporting enables you to see who is browsing your site, when and which pages. This can support specific marketing campaigns, and can also be used to monitor sales, conversions and specific goals. Already have a website that needs updating, or refreshing? We can work with your existing site to refresh your content. We are happy to take on any work you may require. Modern websites have a clean look and feel, seamlessly blending form and function. Our relationship with many of the worlds best template builders - enables us to acquire websites layouts appropriate to your business image. These templates are integrated within your CMS package and your content is slotted into place as each page is rendered for the site visitor. We believe this is the most efficient way to build sites, and as each template is created by a dedicated graphic designer you can be assured the results will look fantastic. Need to make a change in a hurry? Re branding your business? In most cases, site wide changes can be make with just a few clicks of the mouse. 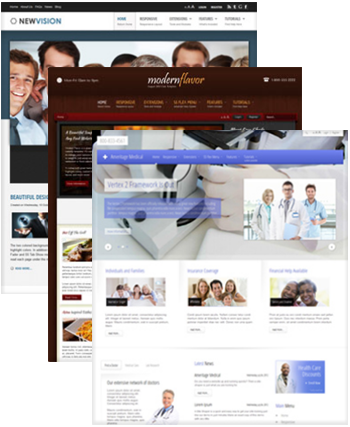 Please contact us to see how our modern templates, combined with the power of Joomla CMS can empower your business. Your customers expect your website to be there 24/7. We make this happen. RM WebDesign is not a hosting provider, we work with the UK & Ireland's most experienced hosting providers, enabling us to build packages that are stable, reliable, well supported and appropriate to your requirements. As our packages are customised for each site, you only pay for what you use. We can provide website hosting on LINUX & Windows platforms, either on a shared platform or dedicated servers. 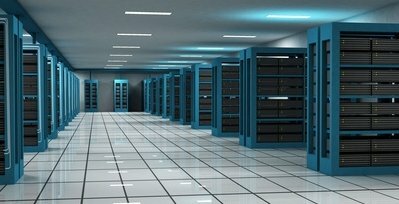 We can also provide hosted email solutions (including Hosted Exchange). Completely UK Based – servers, support, the lot. SEO stands for “search engine optimisation.” It is the process of getting traffic from the “free,” “organic,” “editorial” or “natural” listings on search engines. All major search engines such as Google, Yahoo and Bing have such results, where web pages and other content such as videos or local listings are shown and ranked based on what the search engine considers most relevant to users. Payment isn’t involved, as it is with paid search ads. SEO starts with the website design and structure. We build sites with SEO built in. 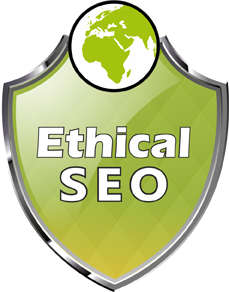 We only apply industry best practice methods, under the so called - ethical SEO. Adhering to the rules as applied by the search engines helps promote your search result ranking, assisting you to achieve the coveted #1 spot. Google infact, will remove your site completely from their results should they believe you are using non-ethical methods. Reaching number one depends on many factors, and in some cases can take months or years to climb the rankings. Taking a site where SEO has never been applied, you should start to see an improvement within the first six months. 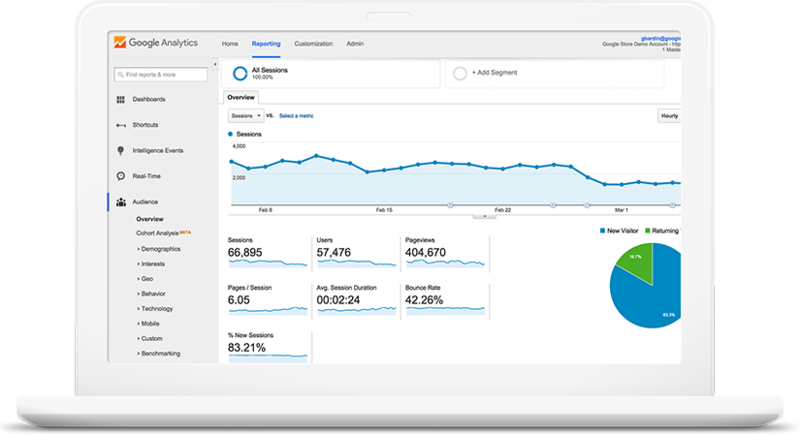 Google Analytics is the platform of choice of RM WebDesign. It's ease of use, exceptional reporting functionality, and the range of tools available is second to none.